Spinning requires a lot of sweat, and apparently a lot of equity. SoulCycle, a fitness instruction and clothing company focused on indoor cycling, has filed for an initial public offering. 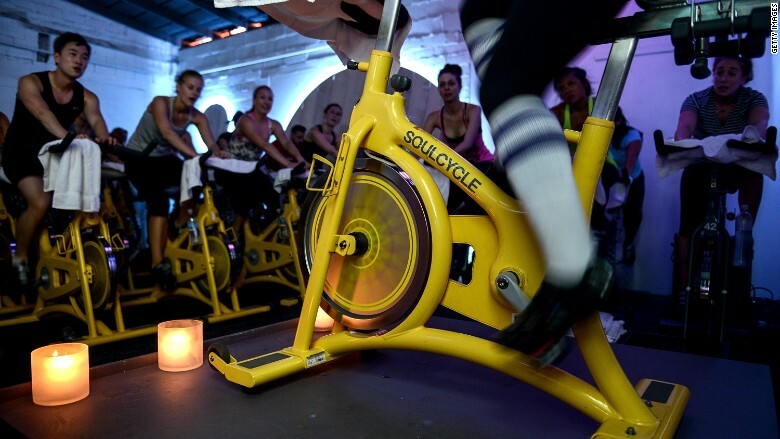 On its registration form with the SEC earlier this week, SoulCycle said it intends to use money raised through an IPO to pay off debt and grow its business by opening more studios, attracting more customers through marketing and social media, and selling workout apparel and Web-based services. That growth strategy, according to the nearly 10-year-old company, will be driven by its current success as "an aspirational lifestyle brand." "For many of our riders, SoulCycle is not about how much weight they can lose," the company said. "Rather, it's about letting go, turning inward and finding the strength to meet life's daily challenges, overcome obstacles and break through. SoulCycle isn't in the business of changing bodies: it's in the business of changing lives." The bulk of SoulCycle's revenue comes from 45-minute group classes that can cost anywhere from $20 to $80 per session. Prices within that range allow people to have extra perks, including "full concierge service" and priority entry. 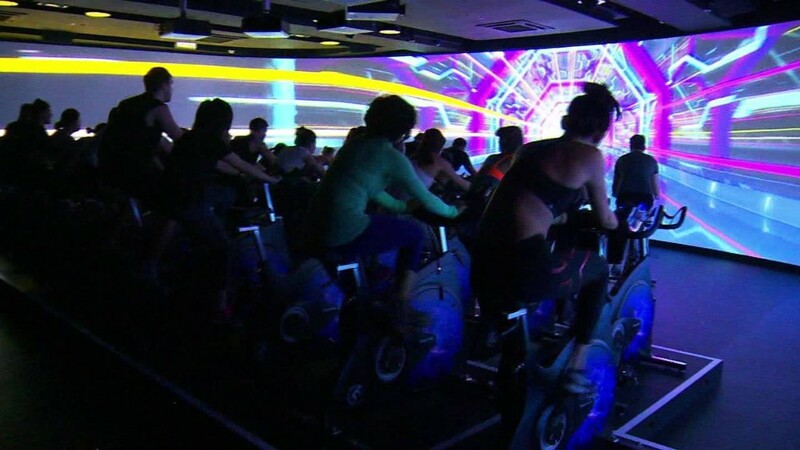 During class, riders work out in a darkened exercise studio blasting party music. Sometimes there are candles. Movements mimic dance moves and aren't just limited to the lower body. There are resistance bands that hang from the ceiling, and choreographed moves often require the upper body. While the New York-based company has amassed a cult-like following in many large cities, this concentrated popularity could also hinder its future growth. "Our studios in the New York metropolitan area and in and around Los Angeles and San Francisco generated approximately 95% of our revenues for [the first quarter of 2015] and 97% of our revenues for ," the company said. "We may not find as much demand in other markets and our brand may not gain the same acceptance." Currently, there are about 40 SoulCycle locations in the United States, and the company made $26.5 million in profit last year, almost 240% more than it did in 2012. More than 300,000 people have tried SoulCycle. Underwriters for the IPO include Goldman Sachs (FADXX), Bank of America (BAC) Merrill Lynch, Citigroup (C) and Cowen Company. In general, fitness as a business seems to be gaining popularity with certain investors. Earlier this summer, another workout franchise, Planet Fitness, announced its plans to go public too.